Today is June 22nd, which is important because besides being National Chocolate Éclair Day it is also the birthday of Meryl Streep. If you’ve been reading this blog for a while you already know that I worship at the church of Meryl, so hopefully this is seen as an endearing gesture celebrating the birth of my idol and not as my admissions essay to a psych ward. This is the kind of hard-hitting journalism you sign up for when you read WhatKumquat. See, parents, my degree from UVA is being put to good use! Of course, when I get famous and attend events like the Oscars where I will wear fancy dresses and discuss in interviews how stressful sitting around drinking champagne whilst other people do my hair is, like the douchey and extremely not-down-to-earth celeb I intend on being, I will probably have to delete this. I can imagine it would do nothing for my street cred if it were to be discovered. Also it would make the future dinner parties hosted by my future husband Tom Felton and myself that I plan on inviting Meryl to extremely awkward. But for now, this idea came to me two hours ago and will not go away, and everybody knows that (similar to Donald Trump or early symptoms of the flu) we shouldn’t ignore those things. So here we are. 1. She has a degree from Yale. What, like it’s hard? 2. She’s got like 200 Oscars and has definitely met Leonardo DiCaprio. 3. She excels in literally any role she takes on. Meryl could play a smurf in a live-action adaptation of the childhood classic and still evoke more emotion than an entire season of The Bachelor. 4. 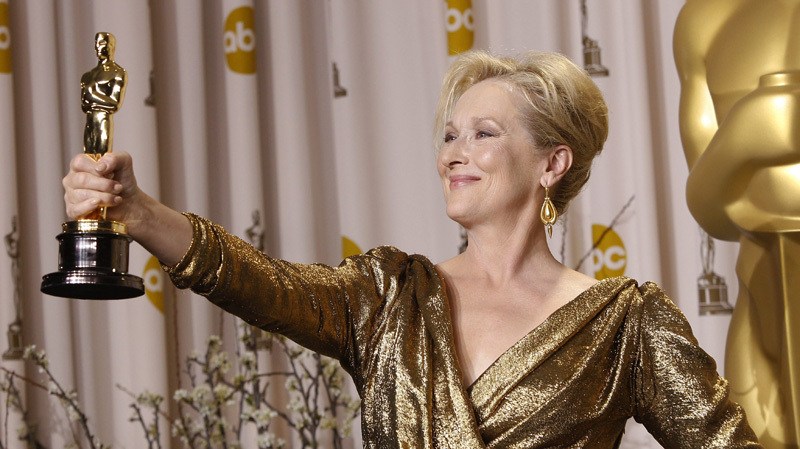 Have you ever heard anyone say a single bad thing about Meryl Streep? Exactly. This is either because the SSS (Secret Streep Squad) have quietly assassinated any haters or because everyone’s in love with her. Meryl Streep could take over the continent of Australia by force, declare herself supreme ruler, and people would still willingly pay taxes to her. 5. She has this Instagram account dedicated to her. The day I see myself exquisitely drawn as a cannolo is the day I’ll know I’ve made it. Meryl Streep is a saint.